Candy, Chicks and Rock 'n' Roll, indeed. 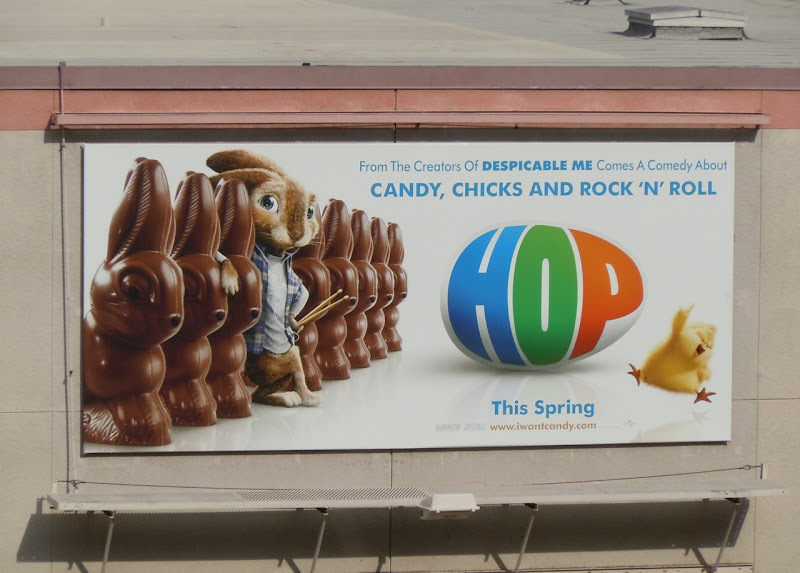 This teaser billboard for new comedy, Hop, just screams Easter with chocolate bunnies and fluffy chicks abounding. Which is appropriate really as the film is about the Easter Bunny's teenage son, 'E.B. ', voiced by Russell Brand, feigning injury by James Marsden and having him take E.B. in and ultimately help him to save Easter. The teaser trailer for Hop is also worth checking out. 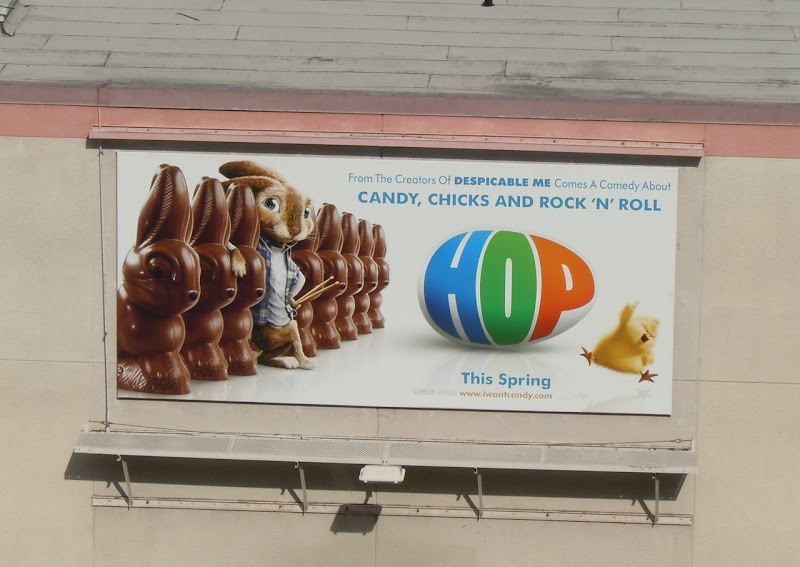 This fun billboard was snapped at Universal Studios Hollywood on January 7, 2011.